You can throw a sack over the other four and, maybe, check on them next year. That doesn’t mean that the Oilers and Maple Leafs will light the world on fire, make the Stanley Cup Playoffs and still be playing in June. It means that, of Canada’s six, Edmonton and Toronto will be the most entertaining – on and off the ice. In Edmonton, the excitement is off the charts. Or it should be. 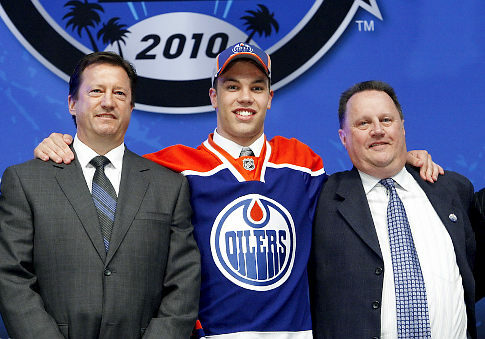 When was the last time a Canadian NHL team sported three rookies as highly touted as Taylor Hall, Jordan Eberle and Magnus Pääjärvi? Off the top of my head, I’d say about thirty years. In October 1980, when the very same Oilers paraded out Glenn Anderson, Paul Coffey and Jari Kurri. All three are currently in the Hockey Hall of Fame. Andy Moog also made his NHL début that season with the Oilers. Four years later, that group (with Mark Messier, Grant Fuhr and Wayne Gretzky tossed in for good measure) hoisted their first of five Stanley Cups over seven seasons. Will Hall, Eberle and Pääjärvi enter the Hockey Hall of Fame one day? You’ll know in about 25 years. But what we know right now is that Edmonton hockey fans are in for a season of hockey that hasn’t been seen in this country in a generation. I want to watch that. In Toronto, the situation is similar. Not as far as spectacular rookies go, but in terms of the team having nowhere to go but up. 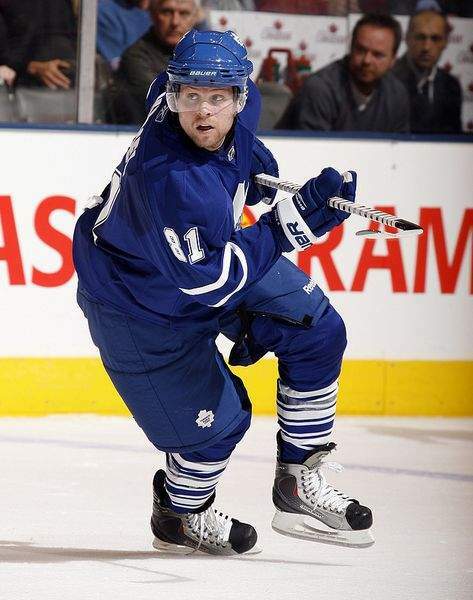 If Phil Kessel dominates offensively and, based on his new physical conditioning, he should and if Dion Phaneuf leads like he can, the Maple Leafs will be improved. If rookies Nazem Kadri and Tyler Bozak have breakout rookie seasons, the Leafs will be much improved. And, if Jean-Sébastien Giguère and Jonas Gustavsson play goal like they can, the Leafs may rocket skyward. And I want to watch that too. Daniel (left) and Henrik Sedin had a great season last year for the Vancouver Canucks. Duplicating it will be a problem. What about the other four Canadian teams? Won’t they be worth watching? They will not. 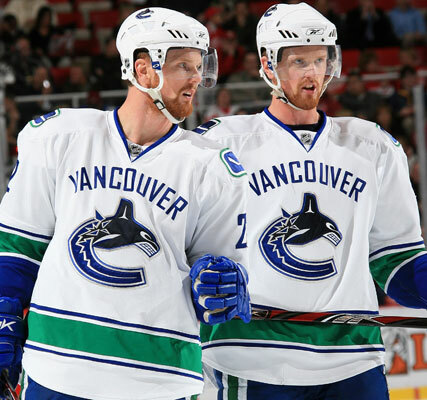 The Canucks will never, ever match last season’s Sedin Scoring Lovefest. Roberto Luongo is on the way down, not up. In Calgary, same goes for Miikka Kiprusoff. He used to be great…he isn’t now. In Montreal, unless Carey Price stands on his head every night, Les Canadiens will never be able to match the intensity and excitement of last year’s playoff run. And Ottawa…yuck. I don’t even know where to start. Little offence – and that’s only if Jason Spezza plays great hockey. No defence. Not much in goal. You couldn’t pay me enough to go to 41 of their regular-season games at Scotiabank Place. Give me the Oilers and the Maple Leafs in 2010-11 – and I’ve got all I need to watch north of the border. Hahaha nice article. Toronto missed the playoffs yet again and Edmonton was dead last in the league. Meanwhile, Vancouver was the top team in the league and is well on their way to the conference final. Hope you enjoyed watching losing teams lose.